The second volume in the Easilang series is “Life in England”. This downloadable ebook and accompanying audio track tells the story of a courageous couple who leave their home in order to find a better life for their young family. 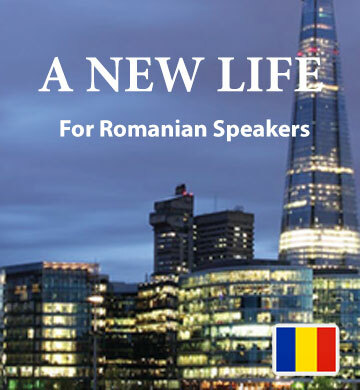 Romanian speakers will sympathise with the challenges the characters must overcome, and smile at their success as they adjust to their new home. In each chapter you’ll encounter new vocabulary. As you hear the words being used in their natural context, your understanding and confidence will grow. Your purchase includes access to the Easilang app, which makes it possible to keep learning wherever you are, whenever it’s convenient through your smartphone or tablet.